This 60 litre scarifier collector bag allows you to effortlessly catch the grass as you scarify, saving you time and hassle while resulting in a fantastic finish. 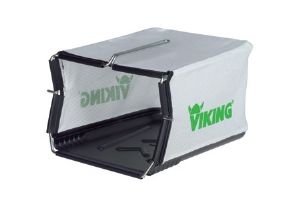 The Viking collector bag for the LB540 scarifier features a 50 litre capacity, so you don? need to clean up your moss in your garden. 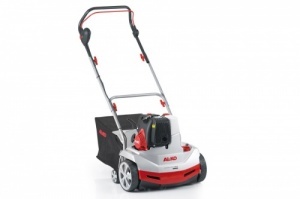 Representing fantastic value for money, this is a two-in-one machine that allows you to scarify, removing thatch and moss from your lawn, as well as raking, to clear leaves and debris. This electric scarifier has a 37 cm working width and 3-in-one functionality, able to work as a scarifier, lawn rake and a collector. 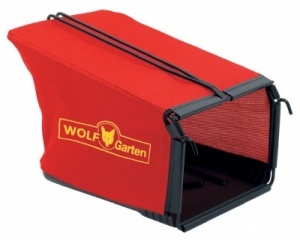 It comes with a 55 litre collector, ensuring no debris is left on your lawn. 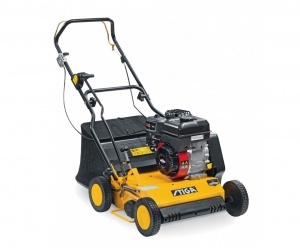 The Cobra S36E is ideal for small to medium sized gardens. 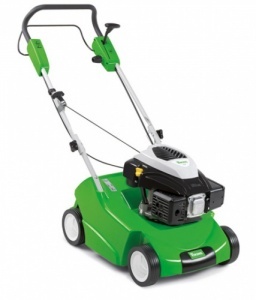 Lightweight and compact, the S36E is fitted with an 1800 watt motor, and has a working width of 36cm/14 inches. Husqvarnas Lightweight battery powered 2 in 1 dethatcher. 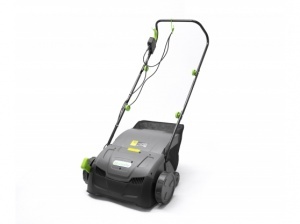 This great addition to the Husqvarna battery series products effectively removes matted thatch and moss from the lawn. With a 1.3 kW petrol engine, a 37 cm working width and 3-in-1 functionality, this lawn rake, scarifier and collector combi machine can make looking after your lawn a simple task. 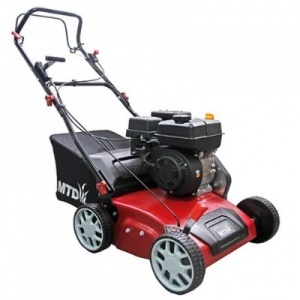 The MTD OPTIMA 38VO is a lightweight, petrol powered 2 in 1 scarifier and powered by a robust MTD ThorX 55H OHV petrol engine, and has a working width of 38cm/15 inches. 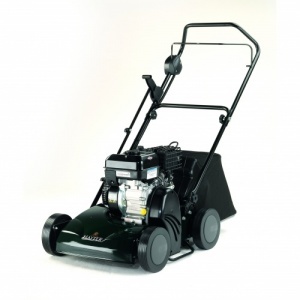 The Hayter scarifier is a 36cm/14 inch petrol scarifier powered by a Briggs & Stratton Series 550 engine, which allows you to create a perfectly manicured lawn. The Viking LB540 will remove moss, thatch, and weeds, as a result the ground gets more air and the roots are better supplied with water/nutrients. 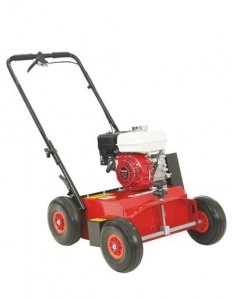 This robust scarifier is powered by a Honda GP160 engine. A 15 inch working width makes it perfect for gardens of all sizes. 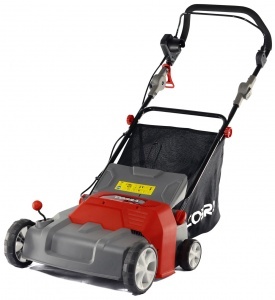 This is a robust petrol scarifier designed to make looking after your lawn, effortless. 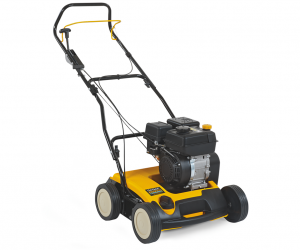 It features a Briggs & Stratton engine, comes with a 50 litre collection bag and has a 40 cm working width. 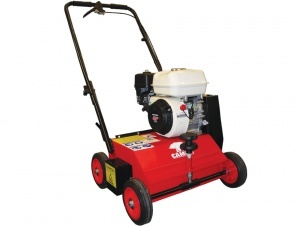 This petrol scarifier actually has blades and springs, allowing for two-in-one functionality: aerating and scarifying. You can keep your grass healthy with this machine. This lawn scarifier uses a 15 fixed-blade cartridge that can be swapped with others to provide excellent versatility and use all-year round. For a fantastic-looking, healthy lawn, CAMON's models are ideal. Including a cartridge with 30 free-swinging blades that you can swap out for CAMON's LS42 cartridges, this lawn scarifier allows you to achieve excellent removal of moss, thatch and dead grass for a healthy, beautiful lawn. 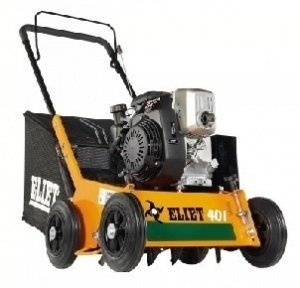 The Eliet E401 Petrol Scarifier is Commercial Quality machine ideal for small and medium sized gardens. Its robust design means it is built to perform. 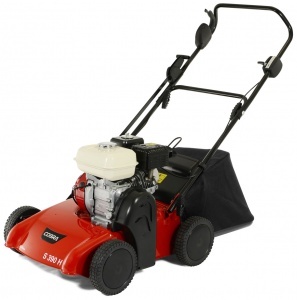 This Honda-powered lawn scarifier with a spring rake cartridge is ideal for allowing all-year round scarification, with 30 durable free-swinging springs to gently clear moss and thatch. This lawn slitter from CAMON comes with a fixed blade cartridge featuring 15 heavy-duty, 2 mm thick blades to not only remove thatch but slit the ground, improving drainage and helping overseeding. 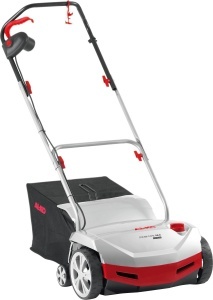 A robust, Honda-powered lawn scarifier, with interchangeable cartridges. This model includes a free-swinging blade cartridge ideal for quickly removing large quantities of moss or thatch. With a 42 cm / 17 inch working width.